Nekopara Extra, a prequel to the series, was originally a standalone release for PC last July. In Nekopara Vol. 2 for PS4 and Switch, it is unlocked after completing the main game. For a look back at Vol. 1, you can read our review here. Set six months before the patisserie opened, Nekopara Extra follows Chocola and Vanilla as kittens, arriving at the Minaduki household and experiencing their first Christmas. That's right: KITTENS! That, my friends, makes this the perfect title. I can't think of a single reason not to pick up Nekopara Vol. 2. 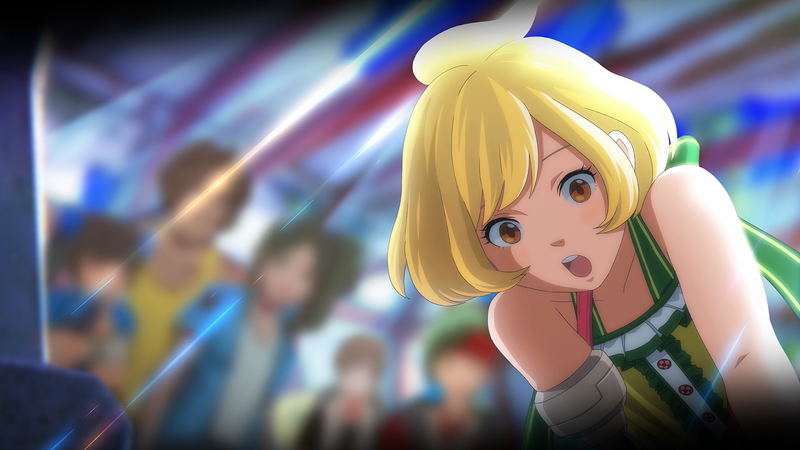 Zanki Zero: Last Beginning is that intriguing game from the producer and designer of the Danganronpa series, that - like Danganronpa - is being brought to us from Spike Chunsoft. If it's even a fraction as good as Danganronpa is, it'll be a highlight of the year, but sadly we will need to wait a little longer to get our hands on it. Spike Chunsoft has sent around an email to say that the game will now land on April 9 in North America (and, we assume, Europe around the same time). It should be worth it, though. I mean, just look at the summary of the game from Spike Chunsoft. It sounds every bit as wildly intelligent as Danganronpa was: God created the world in seven days. It only took one for humans to destroy it. Life as we knew it sank to the depths of the sea...until yesterday. We do not yet know this broken world or the reasons for its downfall left behind here. An earth where ruins drift about, with remnants of buildings, cars, traffic lights... Modern civilization was destroyed, becoming nothing more than debris wading in the sea. New ruins drift one after the other before our very eyes, the survivors who live on one of those decaying islands. People who get their pre-orders in and secure themselves a copy of the "day one" edition get bonuses such as a CD soundtrack and such. The game will release on PlayStation 4 and PC via Steam. Available today, an update for Moonlighter adds nine new companions, eight new minibosses, Zenon's Campfire and more. The new companions will aid you in your dungeon crawling. Earn each egg through your adventures by killing a particular enemy ten times. After three days, the egg will hatch and you'll have a new friend to damage enemies, get items for you, and more. To balance out the love, new foes have been added in the form of minibosses. They are guardians of the dungeons, and defeating them will lead to deeper rooms; find them at the end of the first and second floor in each dungeon. There's a handful of other new bits, too. Zenon's Campfire adds a new narrative tool, as nighttime dungeon visits will bring you by Zenon at his fire, ready to tell tales of Rynoka. Tomo's lines have been modified and increased to explain her story better. UI changes and special warnings will help with your investments. Oh, and if you have lost your broom, you're in luck: you can now purchase it as well. Naturally you'll need to be able to speak Japanese for this, but nonetheless it's so neat I couldn't resist writing a thing about it; Gematsu is reporting that if you buy the February 21 edition of the weekly Famitsu magazine, you'll get a lovely little bonus; a demo for the upcoming Atelier Lulua. 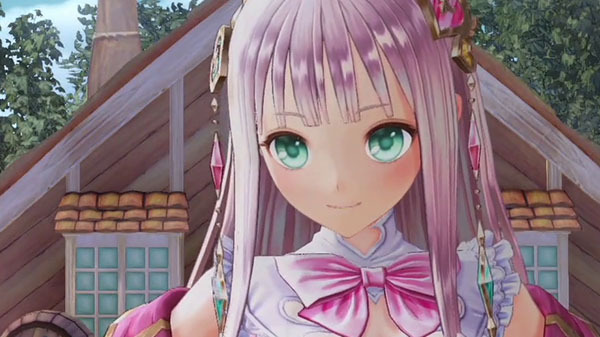 Atelier Lulua is oe of the most exciting games in Gust's long-running Atelier series. It marks the return of Mel Kishida to the series, in supplying the character art and designs (and the characters really are so, so pretty). It also continues the fan-favourite Arland sub-series within the Atelier franchise. Atelier generally runs in trilogies, so we thought that after Rorona, Totori and Meruru that would be the end of Arland. Now it's not. If you do grab yourself that demo save data can be transferred to the full game. For everyone who can't get their hands on Famitsy and/or can't read Japanese, don't worry. The game does come out in English this year.